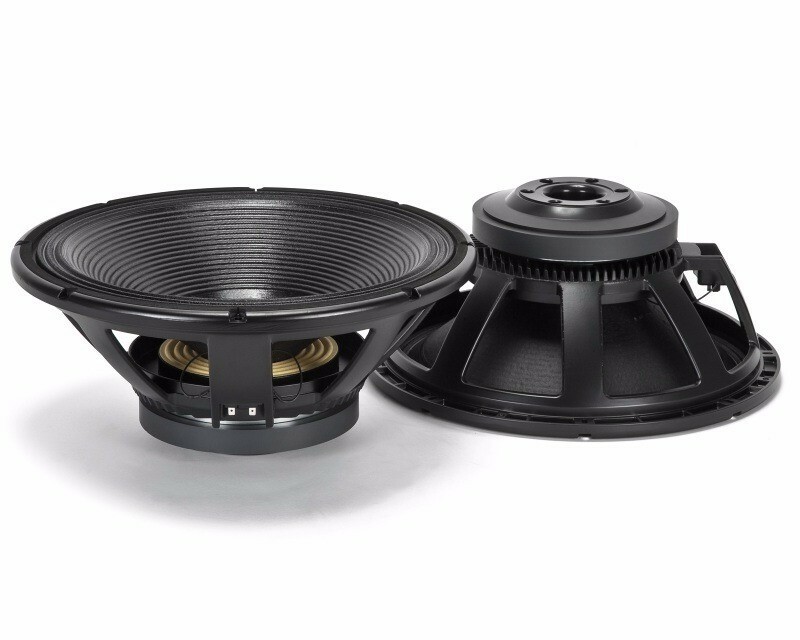 Incredibly linear frequency response characteristics, the highest power handling of any comparable 18-inch transducer, the lowest power compression. The LF18X401 features a fibre loaded cone assembly along with a high excursion triple roll, constant geometry surround. This combination provides remarkable strength venting system guarantee a very efficient voice coil ventilation for minimum power compression and higher power handling. The LF18X401 is ideal for use in applications where incredible power handling is required, long excursion and light weight. Specially designed for touring, perfect for high quality professional bass reflex and bass-horn system. Ideal for use within critical listening applications as studio monitoring subwoofer system.